It's been revealed that AKB48 Research Student Mitsumune Kaoru will be starring in Hewlett Packard Japan's (HP) latest CM. Mitsumune is AKB48's 13th generation research student who made her theater debut in December of last year. The new CM series will also star Maeda Atsuko, Itano Tomomi, Shinoda Mariko, and Kojima Haruna. 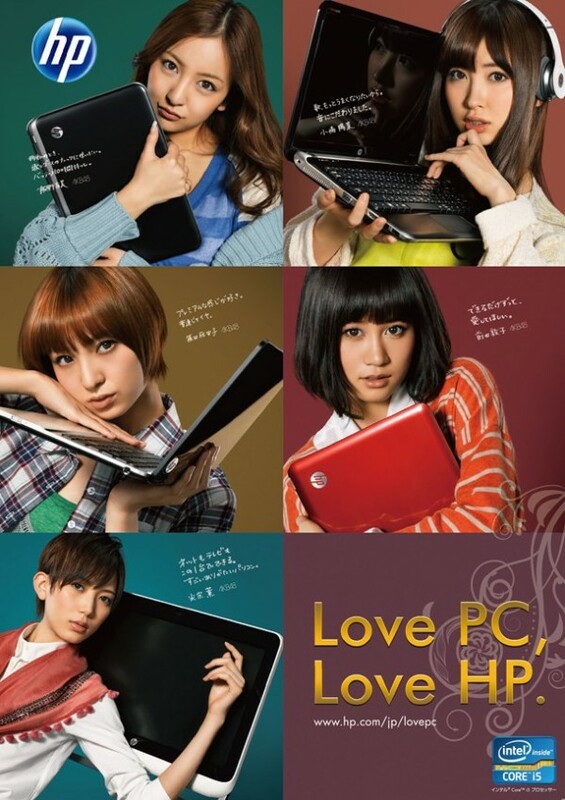 In the CMs, each member will introduce their favorite PCs from Hewlett Packard. It was also revealed that musician Char will be providing the music for the CM. He commented, "At first, I thought 'Why me?'. They told me to make something mismatched, so I let them use whatever I came up with." The new CMs will broadcast starting February 23rd. Check out the CMs and making-of footage below! Thanks to everyone who sent this tip in!